The Bella Twins may have transcended wrestling as reality show stars and entrepreneurs, but while you can take the Bella Twins out of the WWE, you can’t take the WWE out of the Bella Twins. 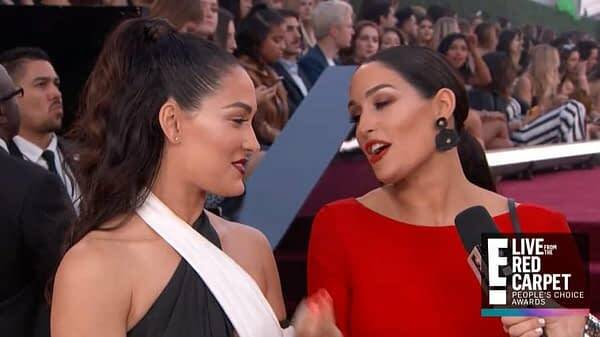 Nikki and Brie were interviewed by E! Online prior to the People’s Choice awards, and they had an interesting answer when asked who they’d like to take on in a wrestling match. First, Nikki Bella was asked about her Evolution match against Raw Women’s Champion Ronda Rousey.